Ok, my New Year’s Resolution, to keep my blog up to date by making at least one post a month, so here’s my News from January 2011.Christmas was busy for the first time here at Les Trois Chenes. 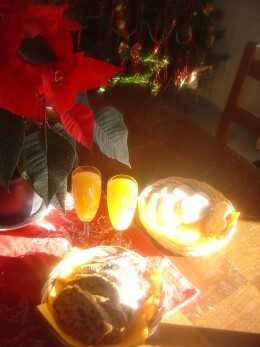 We had Bed and Breakfast guests staying over for Christmas Week which inspired us to devise some special breakfast treats. 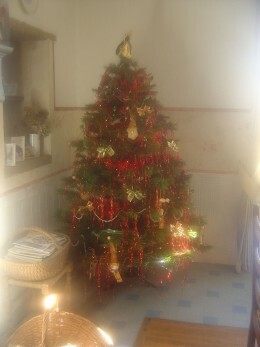 Our newly converted gite, finished in July last year was also blessed with Christmas Visitors. It was a challenge to get the new Godin wood burning stove installed in time, but we made it and the gite was cosy and warm. I managed to learn the art of saving my own Google Maps and marking routes on them and on the many gloriously sunny days I was out and about on a couple of long walks. I found two neolithic burial sites, or Dolmen; huge slabs of stone supported by two other stones that would originally have been covered in earth. I also discovered the delights of Cognac-la-Fôret and saw my first lantern of the dead, or Lantern des morts. Guess what Santa brought for us? Yes, a fabulous new tramoline for our son and all our guests to use. The children absolutely love it! Along with the swings, the play area in the peach and apple orchard is coming on a treat. Last Year Saint Junien swimming pool re-opened after a complete make-over. It now has two indoor pools, one for adults swimming lengths and one for kids with all sorts of fun, watery things going on. Outside there is a smashing pool with slide and plenty of sun-bathing space around the edge for adults who just want to chill out – or rather warm up in all that glorious summer sunshine. It is nearly Christmas and my New Year’s resolution is to keep this blog up to date and to try to make one decent contribution every month – at least. I am put off opening up my blog because I do find it hard to manage, but practice makes perfect and there’s certainly plenty to write about here. 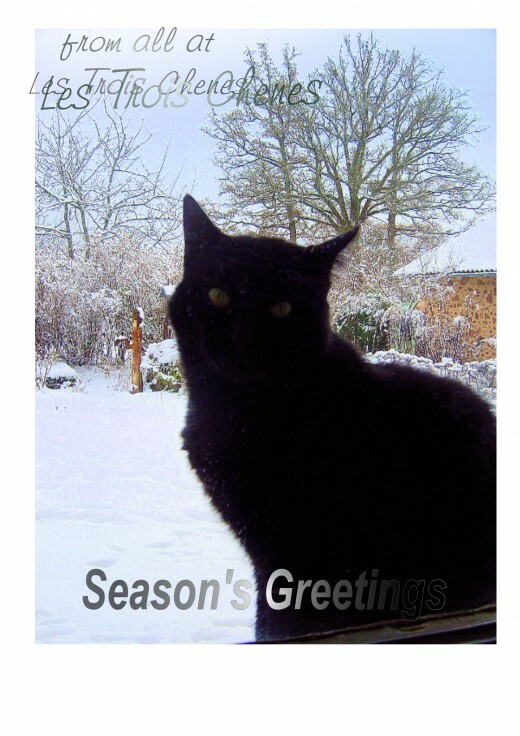 This is to wish you a Very Merry Christmas and a Happy New Year! At the end of November it snowed which is quite an event in Videix. 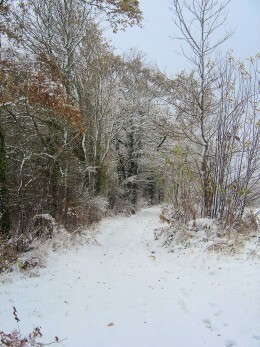 When the sun came out we just had to get out into the countryside and enjoy the « winter wonderland ». 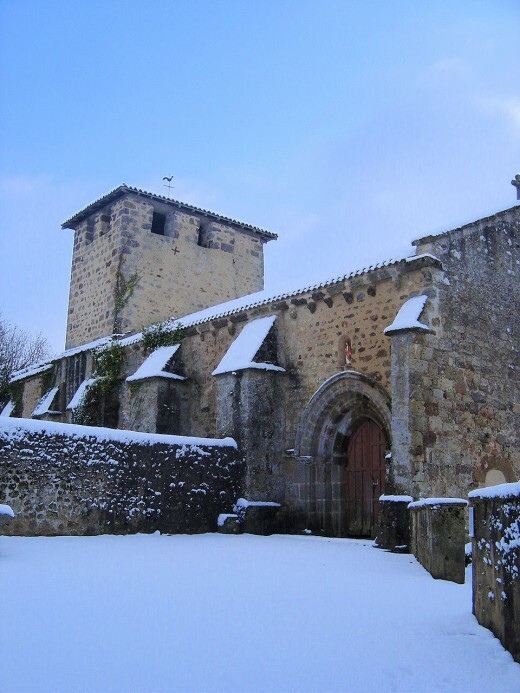 Here are a few pictures that I took just to show that Limousin is the perfect holiday destination in winter as well as summer. The beliefs and the superstitions of Limousin, deep in the countryside of rural France where wolves roamed the beautiful and wild countryside not so long ago , and people feared werewolves, witches and vampires. They believed in the healing waters of the fountains and the local healers. 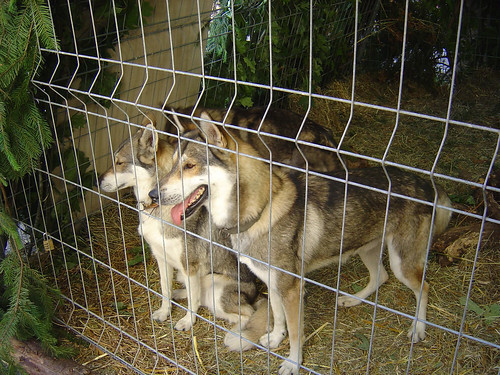 There are still healers in the Limousin, and a wolf park keeps the memory of the wolf alive – listen to the howling in a short video clip. 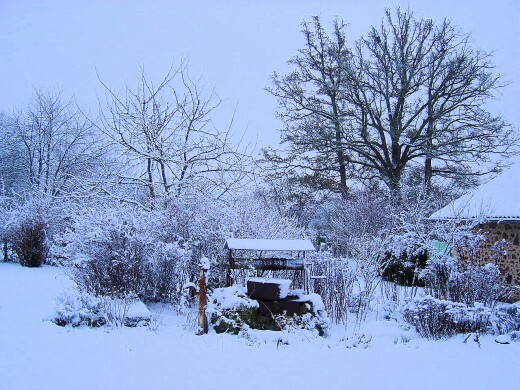 Les Trois Chenes Guest house and holiday cottage is on the borders of the Limousin, the Dordogne and the Charente near the medieval town of Rochechouart. 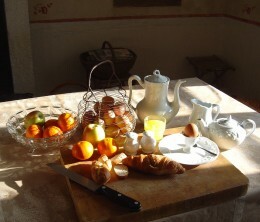 A perfect place to stay for a really magical French holiday. Hi, catch up with us on facebook and become a fan. Follow this link.